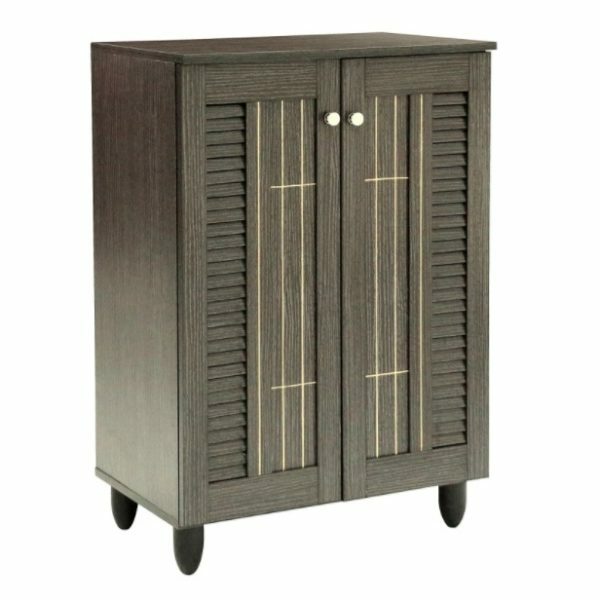 With a compact and elegant design, this shoe cabinets is perfect for houses with space constraints. 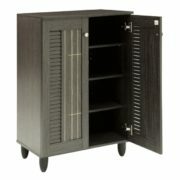 Two-tone finish for a modern look in dark oak and white will blend in with a variety of decor schemes easily. 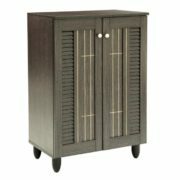 Functional and beautiful, it makes for a great addition to your home. 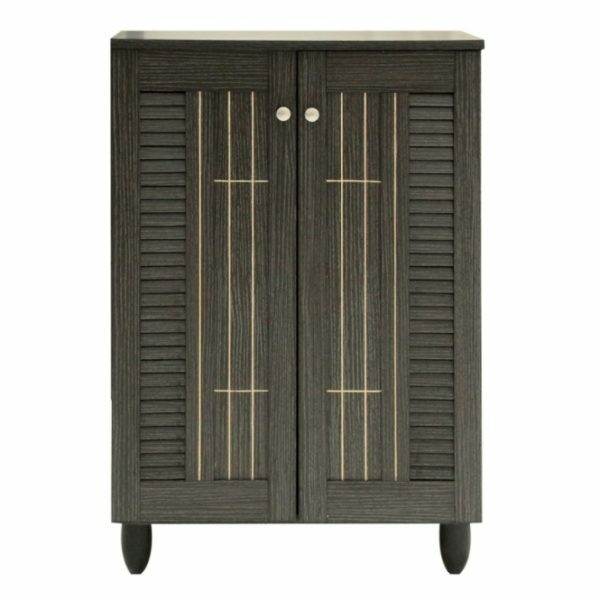 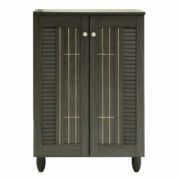 The shoe cabinet is solidly built with engineered wood in two-tone oak and white finishing. The shoe cabinet has Four shelves with three fixed dividers, two doors and legs made of vinyl.